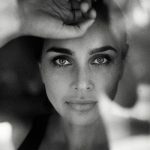 Cross-cultural phenomenon, Lisa Ray is an internationally acclaimed performer, philanthropist and star with a reputation for taking on challenging issue-oriented films. Raised in Canada by an Indian father and Polish mother, Ray was discovered while on vacation in India and went on to become not only one of the most successful cover models and celebrities in India but also an acclaimed, award-winning actress who starred in Canada’s Oscar nominated film, Water, amongst other prestigious credits like ‘Kasoor’ in hindi cinema. Today Ray balances many professional and personal passions as a writer, a humanitarian, a wellness activist, an entrepreneur, an on camera personality and a performer whose multifaceted career is spanning three decades, several continents and many memorable and iconic moments. After Ray was diagnosed with Multiple Myeloma in mid 2009 her forthwright, courageous and humourous approach to navigating her experiences with this incurable blood cancer which she chronicled in her blog, ‘The Yellow Diaries’ have earned her international respect. Despite living with an incurable disease, Ray has continued working with an added focus on increasing Cancer Awareness. Some of her recent noteworthy work includes – Being the honorary co-chair for Blood Services Canada, hosting the series Oh My Gold on Discovering Channel in India,taking on the role of host and judge for ‘Top Chef Canada’ being the face for a style campaign shot by Bryan Adams, lending her presence for numerous cancer documentaries and Cancer awareness iniatives for which she was honoured with the Diamond Jubilee for contributions to Canadian Society, face of the Pantene Beautiful lengths campaign, designing a special collection of sarees with Satya Paul called Ray of Hope. Recently Lisa became the face of HDFC Cancer Care Campaign to spread awareness in the society for cancer, called Ray Of Hope. Keeping her nomadic persona in mind was the reason that global luxury travel brand, Insight Vacations has her on board as their official ambassador. She also is the international face of RADO watches, now in the 10th year of their successful association. After moving back to Asia, Lisa has recently taken on roles in films in India, including ‘IshqForever’ ‘Veerappan’ ‘Zahhak’ and was most recently seen in a highly well-received grand play production by KabirBedi called Taj which is written by John Murrel, one of Canada’s most celebrated playwrights. She will be seen in A.R. Rahman’s upcoming film ’99 Songs’ and well as at Literary and Art festivals around India pursuing her twin passions. She also travels extensively for speaking engagements and motivational talks. Today Lisa divides her time between Mumbai and Hong Kong, where her husband and puppies are based.